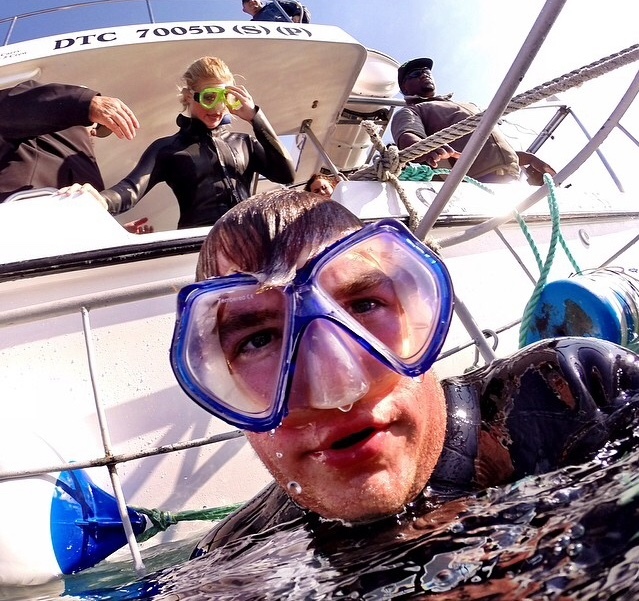 For Community Leader Jake Politte, Junior at the University of Oklahoma, traveling alone on our LEAD Cape Town trip was more than just a summer plan. It was an experience that introduced him to people who would become the support system he didn’t know he would later need; It was an experience that he deemed “magical.” Read Jake’s guest post to gain some insight into what makes study abroad friendships so special. “Study abroad friendships are the most magical things on this planet. The friendships that you make while studying abroad are somehow way different than the ones that you form when you are at home or at school. If you’re wondering why in the world these friendships are so magical… I can tell you from personal experience. Friends. We all want ‘em and we all got ‘em. There is something that is incredible about a friend that understands how your mind works, your humor, and the way you struggle and succeed. The friends that I met in Cape Town have morphed into some of my best friends, and they are located all around the United States. From Oxford, Tuscaloosa, Auburn, Austin, Winston-Salem, and even Ohio, I know that if I am ever having a problem, I can pick up the phone and call every single one of them, and they will be there for advice, or help, or just a great laugh. Our bond sparked, and then it became a burning flame. Studying abroad takes the way you normally live your life and flips it upside down. It puts you out of your comfort zone. This is huge. This process strips your personality down to its rawest form. You become what you truly want to be. I knew no one when going to Cape Town, South Africa, and that itself was worth it. Not a single person on the trip knew who I was…and I didn’t know who any of these people were. This can be an intimidating situation when you are 10,000 miles from home. I remember the first day walking into the classroom and not knowing a single face in the room. Little did I know, my best friends were sitting just feet from me. This feeling of the unknown fuels the excitement to meet all these like-minded people that had the same crazy idea to travel half way around the world. And that was the start to something special. The things that you experience with your friends abroad are almost indescribable. You have the ability to do things that are not possible back at home, like the thrill of jumping off of the tallest bridge in the world, or learning true empathy and compassion by spending our days in a township. With these new experiences come new emotions that you get to experience with your new friends. Adventure brings out a new kind of adrenaline that you only get to share with your study abroad friends. Everything becomes so exciting, and it seems that time doesn’t exist with all of your study abroad friends…time flies. For some magical reason, these experiences bring people closer and closer. Engulfing yourself in a new culture with the amazing new people you just met also makes a bond that is like no other. Seeing the history in Cape Town, and internalizing that rich history, brings out feelings most of us have never felt before. You discuss the way you respond to these events with your friends, and while you’re doing it, you realize these people around you are becoming your best friends. Upon Jake’s return to America, he learned that his roommate and best friend from college had been diagnosed with Hodgkin’s Lymphoma. On our Community Leader retreat in Atlanta in early September, Jake spoke from his heart by telling the whole conference room how grateful he was to have met the people on his study abroad trip and how much they have helped him endure such a difficult time. He takes comfort in the knowledge that he can call any of his new best friends for someone to listen or someone to help him smile and laugh. If you’re looking to expand your circle of friends and develop extremely meaningful relationships, Jake will be the first to tell you that this is the program for you. Come abroad with us! Let’s be friends.